Borough commissioners would like to continue to have Haddonfield be known as a walkable and friendly town. To do so, a more detailed Complete Streets Policy was created. Commissioners unanimously approved the policy at their Tuesday, June 14 meeting. The Complete Streets Policy is meant to be a guide for the borough’s future use to ensure safer streets for all who use them. “It has some very good ideas, some we can do right away, some we will have to take a longer look at, but it does give us a guidepost for the future, making streets as friendly as we can for pedestrians, bicyclers and vehicular traffic as well,” Commissioner Neal Rochford said. The Complete Streets Policy was brought about when members of Sustainable Haddonfield and the Environmental Commission wanted a more detailed policy. They worked on the document for about eight to nine months, according to Rochford. The purpose is to create a policy that will provide for integration of all modes of travel in the design and construction of the annual road program. The benefits include improved safety for all travellers, promoting healthy lifestyles, creating a more livable community, improving Haddonfield’s walkable community standings, reducing traffic congestion, limiting greenhouse gases and improving air quality. Areas of consideration include bicycle routes, sidewalks, walking routes, safe routes to school, crosswalks, stormwater/green streets and land use requirements. For implementation, the Complete Streets Policy and checklist will be used as a review guide when designing, planning and constructing a capital project that includes a roadway, whether new or reconstruction, other transportation facility or any improvement to a municipal complex. The borough engineer or the borough ad ministrator will be responsible for reviewing the checklist. “A lot of good hard work went into this,” Rochford said. • Commissioners unanimously approved a resolution to sign closing agreements for the land purchase and property rental from Bancroft. The purchase price is set at $13.5 million. According to Borough Solicitor Mario Iavicoli, the agreement is set to be signed on June 29. • Commissioners approved a resolution in support of the Partnership for Haddonfield’s Shop Local Campaign. Part of the campaign is a financial incentive for Haddonfield taxpayers to patronize participating borough-based businesses through the payment of residential property taxes. If you spend money at a store that participates, the business will credit some percentage of the purchase to residential property taxes, according to Mayor Jeff Kasko. • Hamna Khalid was honored with the 2016 Alvin R. Schomer Award for her essay in Yes! Magazine entitled “Education: Every Girl’s Haq (Right) to Make Her Voice Heard” about amplifying the voices of those who have been less fortunate than her to receive a good education. The award is given to a youth of Haddonfield by the Haddonfield Human Relations Commission for outstanding service to the community in fostering tolerance and diversity and demonstrating leadership and strength of character. • A proclamation was given to the Haddonfield Garden Club for its 110th anniversary and its commitment to serving the community. The Haddonfield Garden Club is the oldest garden club in the state and the third-oldest in the country. • An ordinance was passed on second reading, amending the chapter entitled “Curfew.” There is no substance change, according to Iavicoli. The amendment verifies the fine of up to $1,000 for violators of the ordinance. • Commissioners approved a number of ordinances on first reading for the acquisition of a fire department command vehicle and appropriating $55,000 from the general capital fund for the costs; amending the borough code to say the District Management Corporation members will be appointed and effective June 1 of each year, rather than Jan. 1; and amending the code to allow for a maximum of 100 permits to park for employees. The latter ordinance, if passed, will also include a resolution setting the permits to 40 monthly. The 100 maximum is so the borough doesn’t have to keep changing the number if more are needed in the future. • Commissioners approved a grant for $1,790.23 for bulletproof vests and a grant application to be submitted for $2,500 for the Haddonfield Community Forestry Plan. • A number of events were unanimously approved by commissioners. 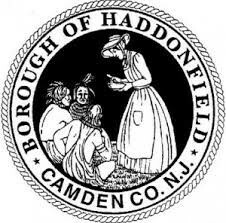 They approved the Haddonfield Crafts and Fine Arts Festival on July 9 and 10; Girls’ Night Out on July 21; Summer Sidewalk Sale from Aug. 4 to 7; Haddonfield Night Market on Sept. 8; Friday Night Concerts held every Friday in July; Keith Schwab Kick-Off Classic on Aug. 27; Police Community Day on Sept. 24; and Car Seat Installation on Oct. 15. • The commissioners meeting planned for June 28 is cancelled, as commissioners felt it was not needed. The next meeting starts the summer schedule of one meeting per month, rather than two. The next meetings are July 12 and Aug. 16 at Borough Hall, starting at 7:30 p.m.